You know seasons have changed when you start seeing longer sleeves, boots, sweaters, hats, and coats walking through your hometown or local grocery store. With that in mind, it can be difficult to find space to fit these thicker, larger items. Even the day to day items such as boots and coats don't always have a place to call home. Mudroom (source: Wikipedia): a casual, generally secondary entryway intended as an area to remove and store footwear, outerwear, and wet clothing before entering the main house. As well as providing storage space, a mud room serves to increase the cleanliness of a house proper. Use board and batten along with built-in shelves, a bench, and hooks to make your perfect storage space. Use baskets to create a niche for every unplaced item. Mudrooms can also make a statement with bold colors. Use corbels to add detail or give your mudroom an aged look with stain. 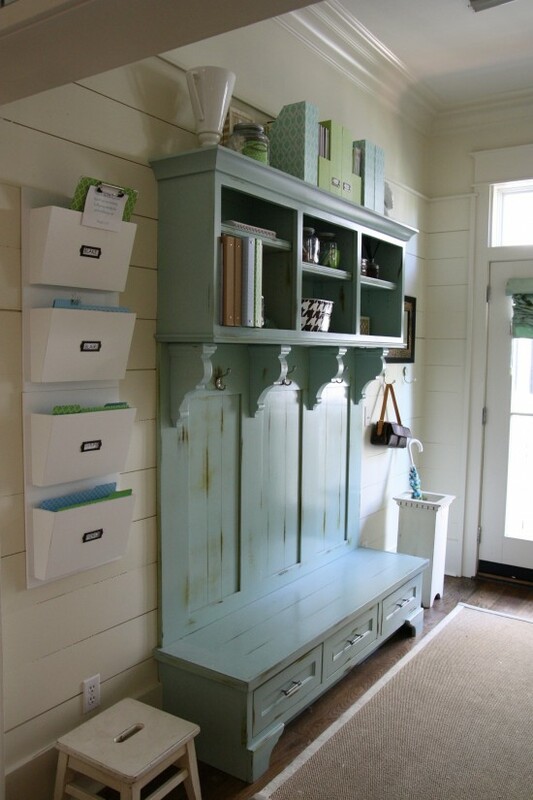 Again, don't be afraid to use color to accent your mudroom. Plus, this gives guests an inviting and unique focal point as they arrive. All mudrooms are not standard size. For some of you, space may be a precious commodity that you cannot spare. Why not create more space with a well placed mudroom. Use an ineffective closet to your advantage. Turn an unwanted or old armoir into a personalized place for any family member or guest to store his or her everyday items. 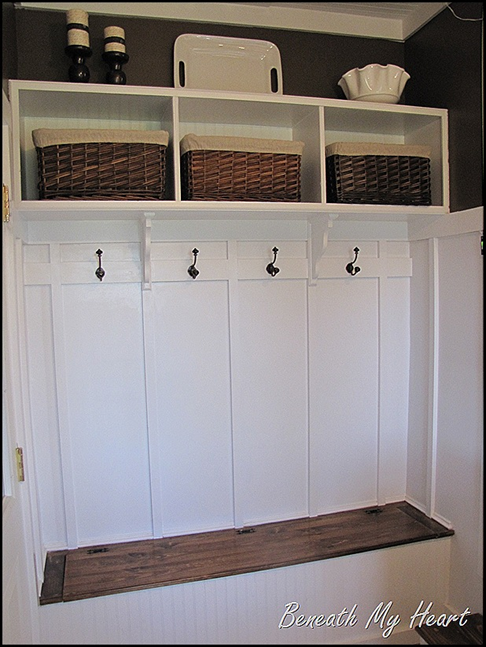 Make the back drop of your mudroom unique by using beadboard, board and batten, or even vintage doors. Whatever you desire, make it your own. It's between you and your coats.